This is our 4n1 combo, This unit is rented dry. If you would like this Combo Bounce House Rented wet you will want to look for it in our Wet combo section Water Combos . This Bounce House Rental features the best of two worlds, a bounce house and a slide built in. Entertain your kids for the whole day, watching them climb, jump and slide their way to fun. This bounce house rental has a safety ramp, large bounce area and a dry slide. 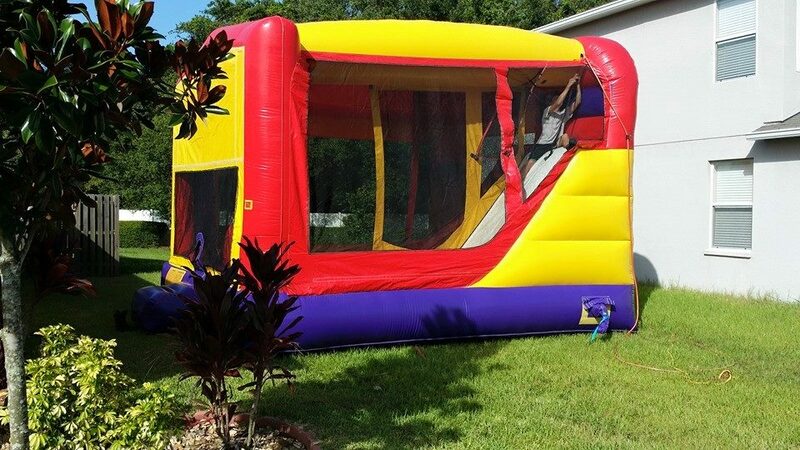 We carry a good selection of Bounce House Rentals, Water slide Rentals, Party Rentals and Concessions. 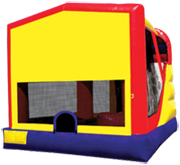 We are Insured and offer delivery and pick up of our Bounce houses. 1 Outlet is needed within 75 ft of where you will be setting this unit up, If you are going to be at a public venue you will need to rent a Generator.